Microgynon 30 ED is taken every day without a break. 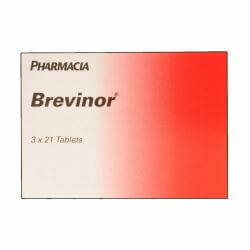 You take an ‘active pill’ each day for 21 days, followed by an ‘inactive pill’ each day for 7 days. it can help with pre-menstrual symptoms. Microgynon 30 ED will not, however, protect you against sexually transmitted infections - only condoms can help to do this. Microgynon 30 ED needs to be taken as directed to prevent pregnancy. 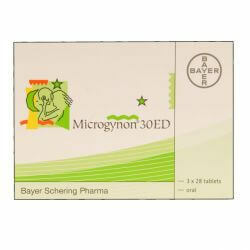 To prevent pregnancy, always take Microgynon 30 ED as instructed. Your pack contains 3 foil memo strips with 3 sets of 7 self-adhesive strips showing the days of the week. 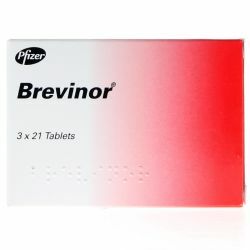 Each foil memo strip contains 28 tablets: 21 small active tablets in 3 rows and 7 larger inactive tablets in the last row. Find the set of self-adhesive strips. Each strip starts with a different day of the week. Peel off a strip that starts with your starting day. For instance, if you start the tablets on a Wednesday, use a strip that starts with ‘Wed’. You can now see on which day you have to take each tablet. Follow the direction of the arrows on the strip. Take one pill each day, until you have finished all 28 pills. Start taking your next strip of Microgynon 30 EDthe next day. Do not leave a gap between packs. As long as you take Microgynon 30 ED correctly, you will always start each new strip on the same day of the week. For more information on taking Microgynon 30 ED, consult the Patient Information Leaflet. Each box of Microgynon 30 ED contains three strips of 28 tablets, and each strip of tablets has its own set of 7 self-adhesive strips showing the days of the week. 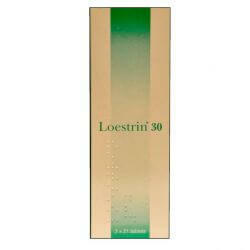 Each strip of Microgynon 30 ED contains 21 beige sugar-coated tablets containing 150 micrograms of the progestogen levonorgestrel and 30 micrograms of the oestrogen ethinylestradiol and 7 larger, white, inactive tablets. Lactose, maize starch, povidone, magnesium stearate (E572), sucrose, macrogol 6000, calcium carbonate (E170), talc, montan glycol wax , titanium dioxide (E171), gylcerin (E422), ferric oxide, pigment yellow (E172). Before starting Microgynon 30 ED, it is particularly important to read the symptoms of a blood clot section in the the Patient Information Leaflet. It’s important that you understand the benefits and risks of taking Microgynon before taking it or when deciding whether to carry on taking it. Although Microgynon is suitable for most healthy women, it is not suitable for all. St. John’s Wort (a herbal remedy). Microgynon 30 ED contains lactose and sucrose - f you have been told by your doctor that you have intolerance to some sugars, contact your doctor before using Microgynon 30 ED. Do not use Microgynon 30 ED if you are pregnant. If you are breast-feeding, your doctor or family planning nurse may advise you not to take Microgynon 30 ED. They will be able to suggest alternative contraception.